Accent your kitchen island with a fleet of charismatic three- and four-leggers. 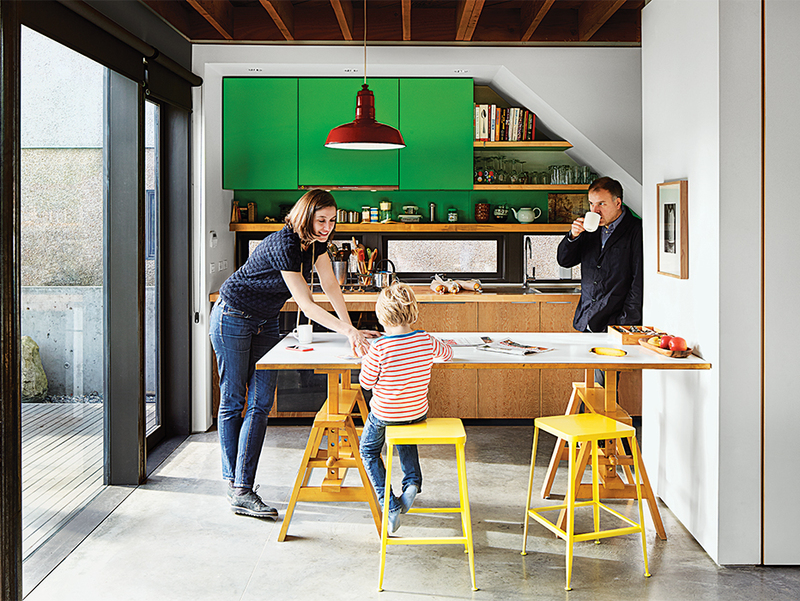 A Vancouver family selected a Leonardo table by Achille Castiglioni to serve as additional countertop space and an informal dining area in the kitchen. A pair of lemon-colored stools pull underneath. Modern furnishings at this Houston home include a Bertoia Bird chair, Franco Albini ottoman, and vibrant Tolix bar stools. In northern New Jersey, a cramped kitchen was reborn as a welcoming space for cooking and entertaining. Resident John Roynon coated the wooden legs of the Vig bar stools by BoConcept with Atmospheric, a grayish-blue paint from Benjamin Moore, so they would stand out against the island’s walnut-veneer base. A new kitchen at the front of this London town house fits nicely into the notion of balancing new and old elements throughout, with oak detailing married to exposed brick, offset by strip lamps. The Hee bar stools are by HAY, the Caravaggio P3 pendants are by Light Years, and the range oven is from Britannia. This San Francisco kitchen boasts sequenced walnut veneers and counters from Caesarstone. The Chrysalis bar stools are by One & Co for Council. A Foscarini pendant hangs above Ligne Roset’s Eaton table and bench.